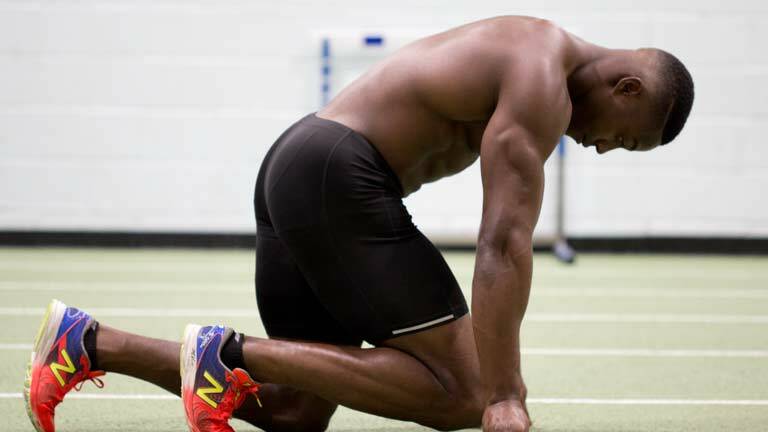 Designed by Olympic sprinter Harry Aikines-Aryeetey, this 10-week program will improve your explosive power, speed, strength and athletic ability. Working both outdoors and in the gym, this advanced style of training is aimed at individuals who have considerable fitness experience and want to push their limits. The result of this hard work: muscle size, strength, definition, and power. 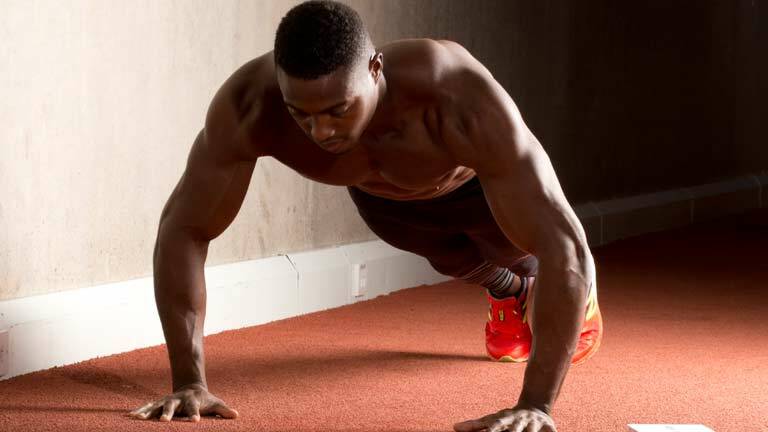 The advanced 10-week ‘Get Explosive’ program is aimed at individuals who have considerable fitness experience and want to develop strength, athletic ability, and speed. 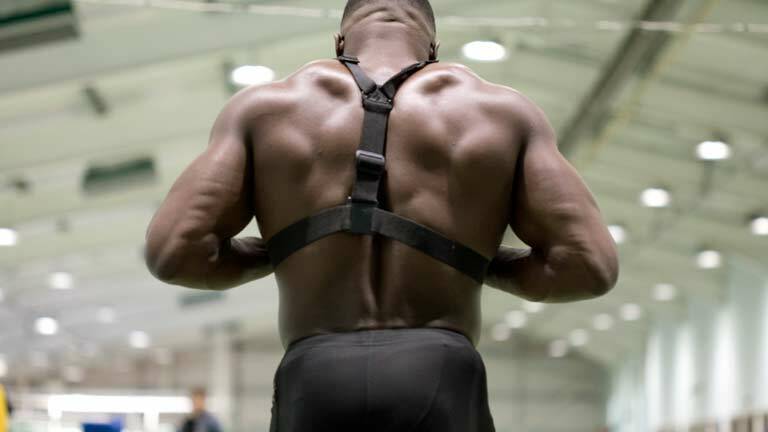 Too many gym programs these days just train “gym” strength, whereas this program trains real world strength via scientifically tested Olympic training techniques. 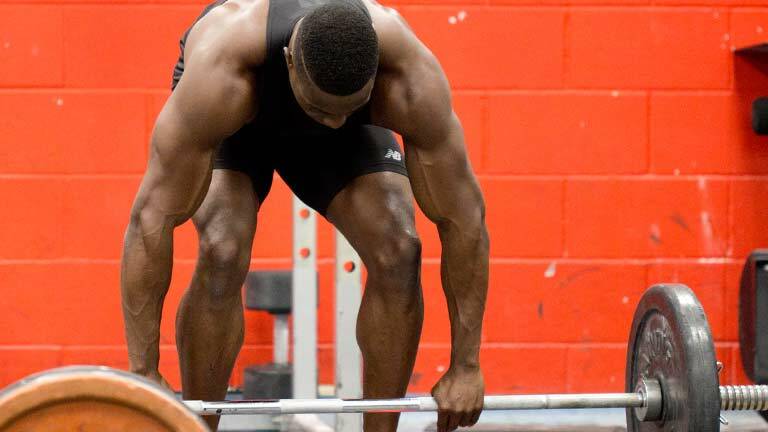 Consisting of two five-week phases, with a different training regime each week, this 5 day a week program develops explosive speed and power by surprising and challenging every muscle in your body. As a general rule, you can expect to be in the gym 3 days a week, and spend 2 days training outdoors. Gym-based workouts are made up of a mixture of plyometric and compound exercises that focus on developing strength and size by prescribing weights of between 70-80% of your 1RM, across 4 sets of 10 reps.
Explosive, plyometric exercises to improve power, speed, strength and athletic ability. •	GYM / Low carb, high amino & high protein on weight lifting days. •	ACTIVE / High carb and increased water intake on high aerobic days. •	SPRINT / Moderate carb and protein on days above 90% intensity. Although following this nutrition routine may be challenging, Harry also decided to ditched meal plans to make your life easy! He came to realize that they are near impossible to stick to and so, has instead, designed more general nutrition targets. To reach these targets the plan recommends 7 medium-large meals throughout the day, each being accompanied by a recommended mealtime. Each meal also recommends a ‘meal composition’, being the nutrition types that the meal should consist of. Should you desire meal ideas head to the Gymbook instagram page (@the-gymbook). Finally, he has also provided you with exclusive offers from the Gymbook’s trusted nutrition partners: USN. 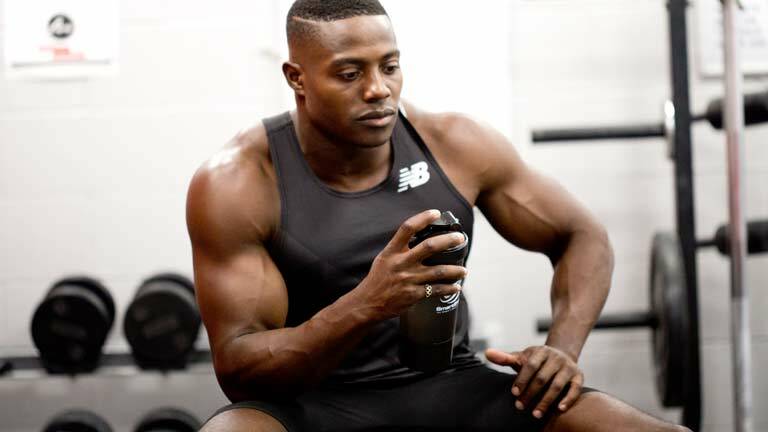 To help promote results from this program he recommends a combination of Creatine, ZMAs, BCAAs and Glutamine. For females wishing to retain muscle definition, he does, however, suggest limiting the use of creatine given its water retention properties. All these supplement recommendations are suggestions and should not substitute a balanced diet. Built over 2, 5 week phases, you will be training 5 days a week. 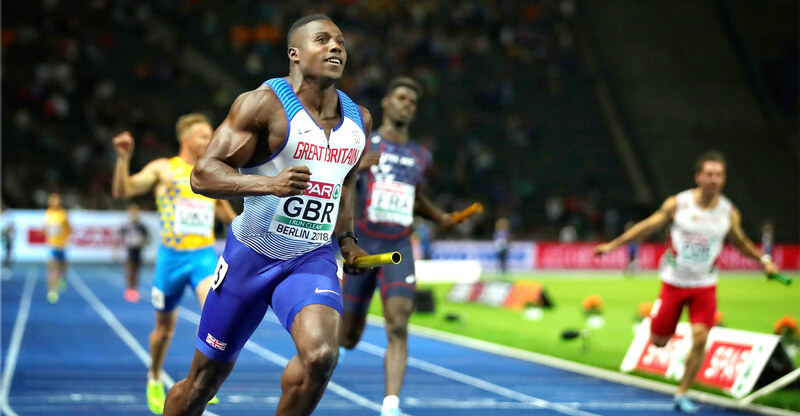 Each week is different to ensure a constant growth of explosive speed and power. You can expect to be in the gym 3 days a week with 2 days outdoors, hill sprinting or running bespoke olympic circuits. You will also have specific nutrition schedules and requirements depending on the type of training you will be doing that day. This book requires commitment and hard work, if you aren't up to the challenge stick to an intermediate Gymbook!